It’s almost time for the Easter Bunny to hop back into our lives for another year. But what happens if chocolate isn’t your ‘thing’ or you just don’t want to over indulge on the sweet stuff? Well, in my house we don’t go mad for Easter Eggs, and I like to look for alternatives to make a change from the usual eggs. I also don’t like to go mad financially – I don’t think Easter should be like another Christmas for my son, so I don’t tend to spend big either way. 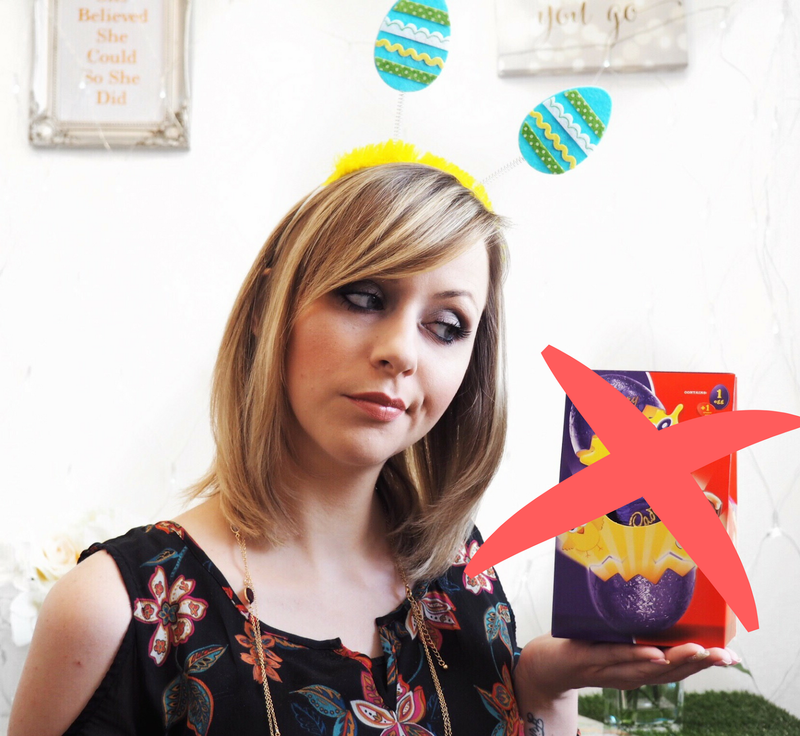 So this Easter here’s my three top Easter Egg alternatives for under £10. Just because you might not want to indulge in pure chocolate, doesn’t mean sweet things are out altogether right? I have to admit that I’d take a good cake over chocolate any day, so for me, Sponge offer a fantastic alternative with their Baby Cakes Gift Boxes. Plus they’re great because they’re all deliverable by post, so it means you can send these egg alternatives to all your friends and family with ease. The Baby Cakes boxes come in boxes of four for only £9.99, which means they’re budget friendly too. And there’s options available for a Traditional Selection (chocolate cake, coffee, lemon and Victoria sponge) or a Quirky Selection including apple crumble, bakewell sponge, chocolate and orange and carrot. Or you can pick four of your own flavours too. Meaning tastebuds of all standards will be met! Having been enjoying some of the cakes myself recently, I can happily say that they’re proper sponge cakes – not dry or with that horrible fake, factory-sealed taste. But rather they’re moist and delicious – exactly as you’d expect to find in a great cake shop. For under £10 these are my favourite Easter Egg alternative. Visit the Sponge website for more options as well as Cake Cards and more. Treats don’t need to be expensive or extortionate at Easter, plus seeing as lots of us are fortunate enough to get a four day weekend, why not mark the occasion with something for a bit of a pamper? I love the brands you can pick up in Sainsbury’s for a beauty indulgence. The Mandara Spa Oriental Retreat Beauty Oil is only £7 and smells divine and is perfect for having in a nice relaxing bath. Or even something like the bargain £4 box of Bath Soap Petals – perfect for a bubble bath over the long bank holiday weekend to mark a nice chilled time. Plus you can pick them up in the supermarket too for ease! If there’s kids in your life, then you’ll know how much they love celebrations and an excuse for a treat. I’m far from anti-chocolate with Josh, he loves the stuff. But considering all my family buy him Easter Eggs, I prefer to get something less edible. He doesn’t need more chocolate after all! So this year I set myself a £10 budget and picked his current favourite film as the focus. I managed to get a sticker book for £1.60 on Amazon, a colouring book for £4 and two of the kids favourites ‘blind bags’ for £6. You can get a really good bargain in the Supermarket with kids toys and stationery so for £10 you can make a really cute little goody bag in the theme of pretty much anything. So those are my Easter Egg alternatives for 2017, here’s hoping the Easter Bunny takes note!